Collection Cosmetics are very well known for their popular Lasting Perfection Concealer which I love but I also enjoy using a lot of their other products. One of their newest ranges launched recently which I've been very lucky to try out, it's the Galactica range which is going to be perfect for Autumn/Winter. It launched at the start of the month in Boots and is also available in Superdrug, I've been trying out the products for the past week so today I can only offer my first impressions for now, I will of course be separately reviewing all the different products over the next few weeks as I use them more and more though. I'm a big fan of the metallic trend and this collection really does represent the trend really well with it being dominated by golds and silvers. However out of this trio of nail polishes my favourite is definitely Blue Moon, it's just the perfect shade for Autumn and I can see myself wearing it a lot. It is such a beautiful shade of blue and the metallic finish adds to that even more. I wore it for about 4 days without any chipping, I'm looking forward to testing it again to see if it can last any longer. I think the gold and silver shades will be perfect together for a more alternative manicure, I can't wait to see what creations I can come up with. 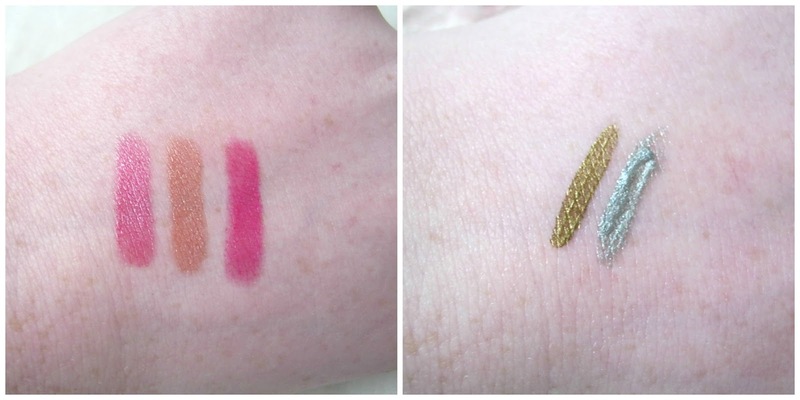 Only recently have I tried one of the Collection Lip Butter Pencils and I'm already loving it so I was very happy to see that they had included 3 new shades in the Galactica range. There may only be 3 shades but I think everyone will be drawn to at least one of them, for me it's the first shade 'Cosmic Candy.' Despite the metallic finish I think it's really wearable and similar to something you'd see going down the catwalk at Fashion Week. All 3 shades are really soft and smooth on your lips, they don't feel drying at all. 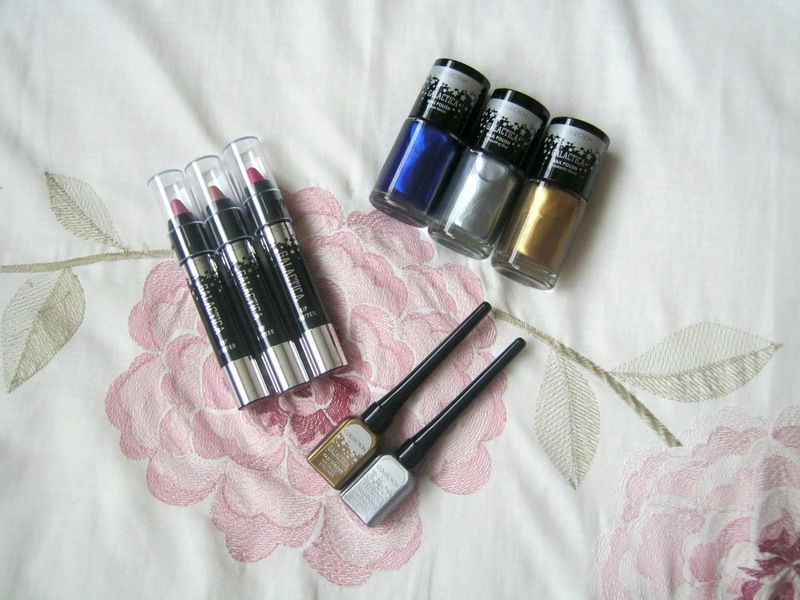 They are really well pigmented also, especially Pink Rush which does come out as bright as it appears! So far I'm really impressed with these, I'm looking forward to dedicating a whole post to them! Are you a fan of the metallic trend? The gold metallic eyeliner looks perfect for autumn! Love the range of colours!